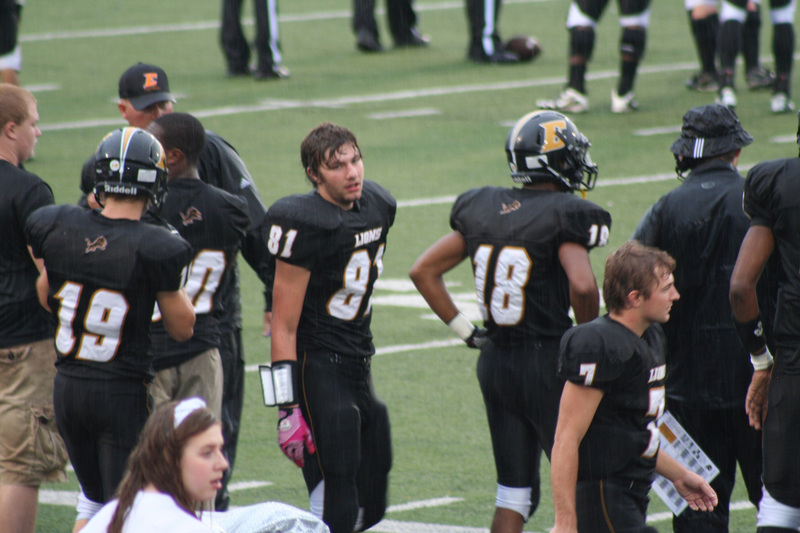 Pierce, nearest the sidelines, plays tight end on offense. Pierce (81) takes a breather. One of the few moments rain wasn’t falling. Cade (67) is ready for action. 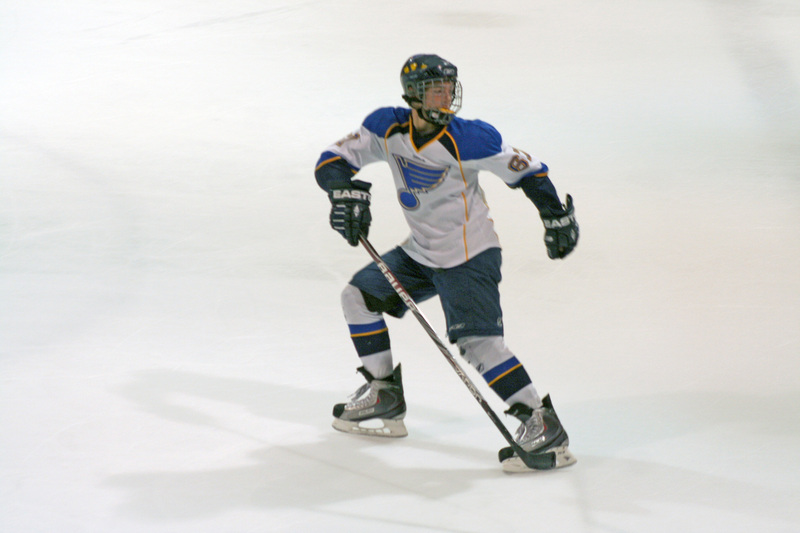 Cade has played ice hockey for years and is an excellent skater. Cade is often where the action is. The Stone Hill visitor center and gift shop building. Stone Hill is a beautiful complex. Hungry? Stop at the restaurant in a former carriage house and horse barn. Dine in a former horse stall if you wish. The restaurant specializes in German food. The remnants of Hurricane Isaac nearly derailed our plans, but my wife Sherry and I finally got to see our grandson, Pierce, a junior at Fort Zumwalt East High School in St. Peters, Mo., play football. We had attended one of his games several years ago, but it had barely begun when a thunderstorm and lightning caused its cancellation. It’s the only game he’s ever had cancelled. 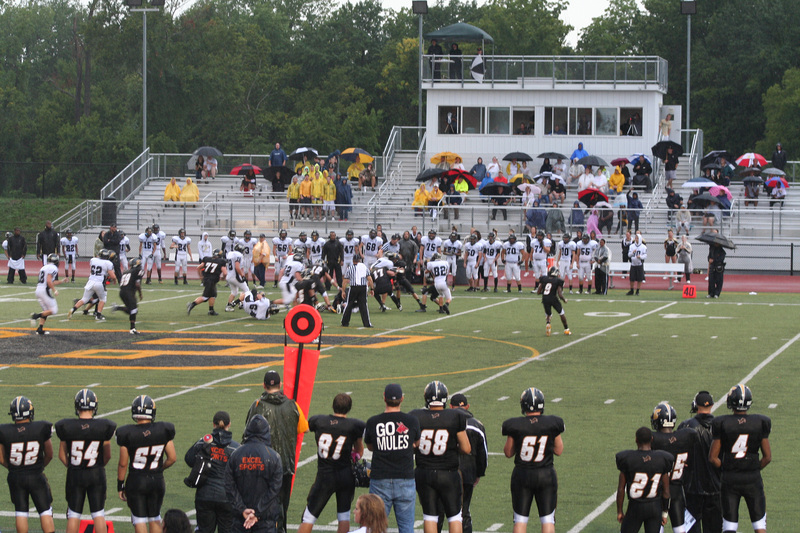 This contest, a home game on Friday, Aug. 31, also was in limbo until a decision was made at 6 p.m. to play it. Thanks to Isaac, it had been raining in the St. Louis area since Thursday night. On Friday the rain came down in sheets. Storm sirens sounded twice in mid afternoon when twisters were spotted in the area. 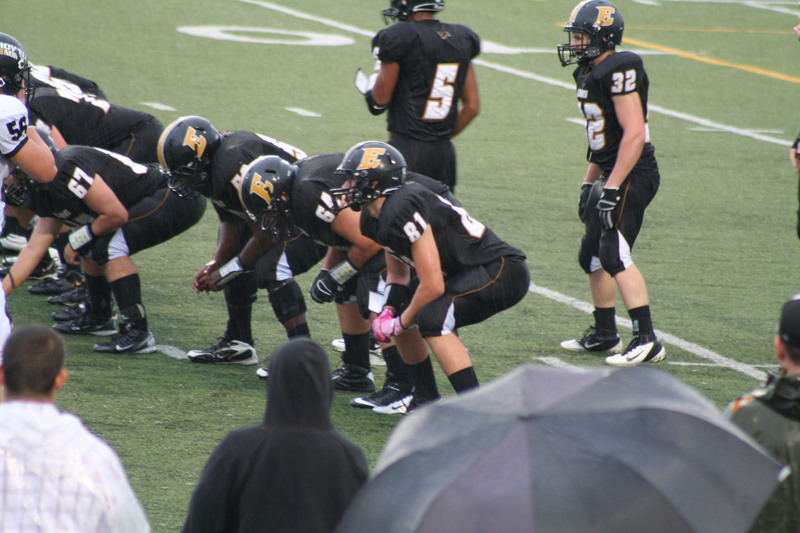 Despite our getting quite wet, we enjoyed watching Pierce, a tight end (on offense) and an outside linebacker (on defense). His team won handily. The next day found us dressed not in rain gear but in coats as we watched another grandson, Cade, participate in an ice hockey tournament at a rink in Chesterfield, also a St. Louis suburb. 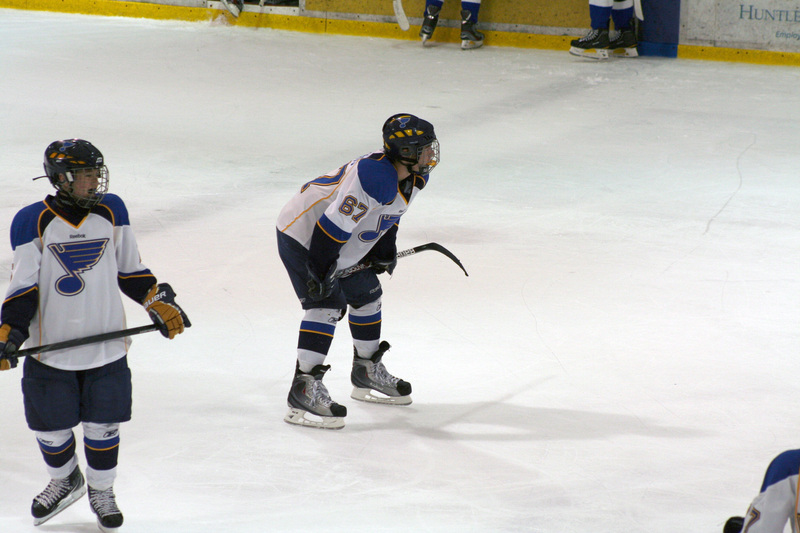 Cade is a starting defenseman on the ’99 St. Louis Jr. Blues hockey team. 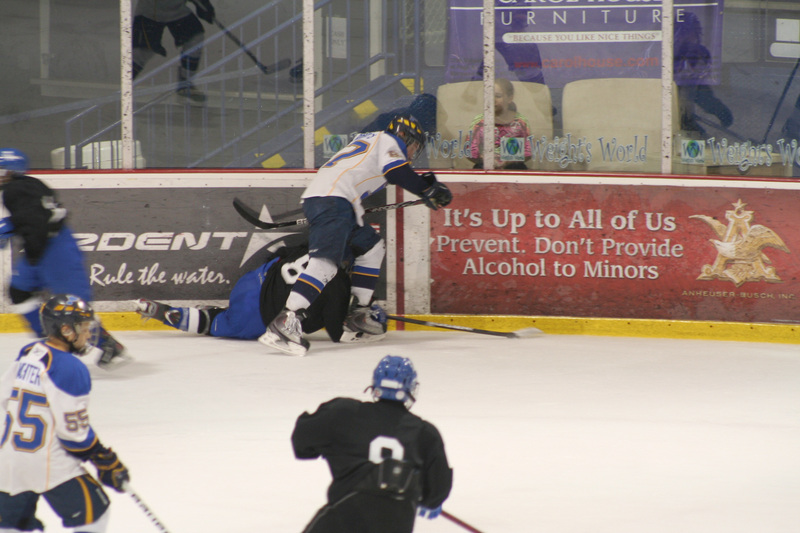 The Blues split in the two contests we saw, losing to the No. 1 team in the nation. During the day on Friday, we had had some free time. 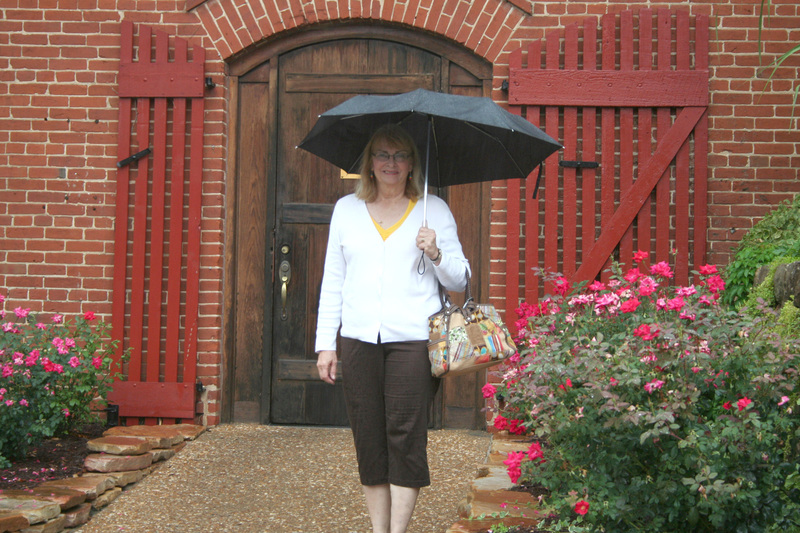 So we decided to visit the village of Hermann, Mo., in the heart of Missouri’s wine country, located 60 miles west of St. Louis and 15 miles south of Interstate 70. Hermann is a picturesque community on the banks of the Missouri River. It was established in 1837 by German immigrants from Philadelphia. The area is said to look like Germany’s Rhine Valley. 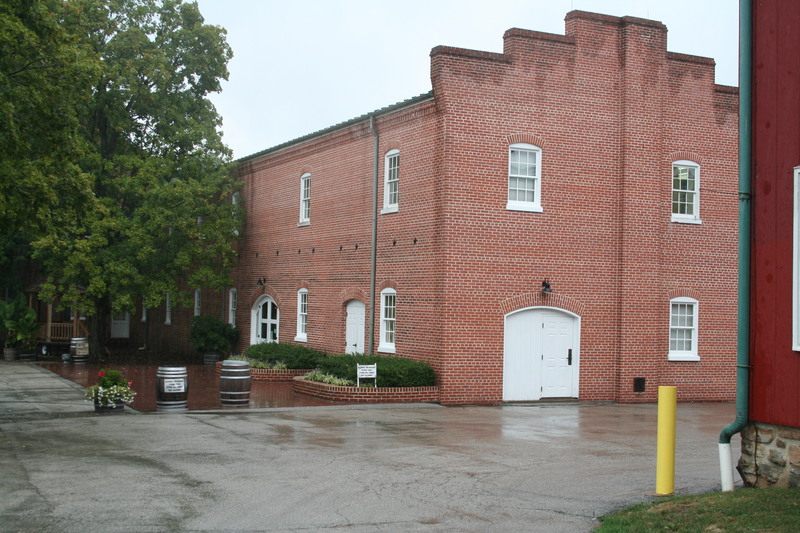 The city’s website accurately boasts that Hermann is blessed with original architecture, prize-winning wineries, a variety of shops and a host of down-home folks. 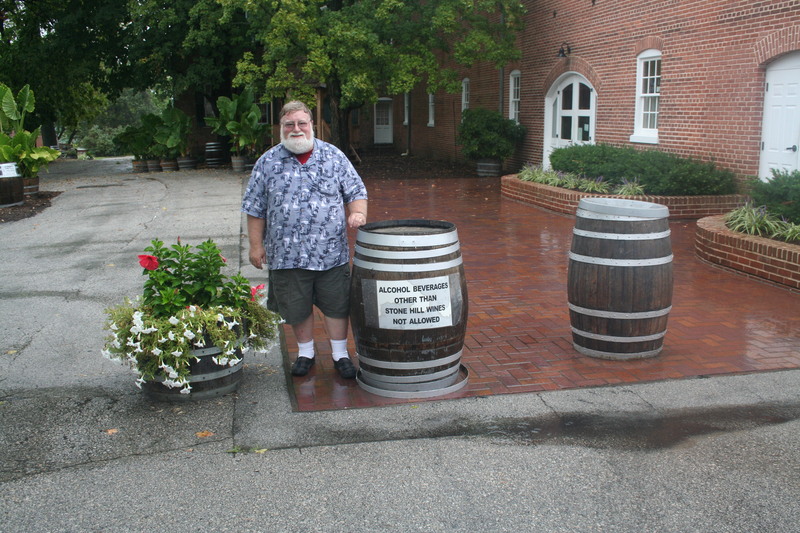 There are many wineries there but, based on some advance research, the winery we chose to visit was Stone Hill Winery (stonehillwinery.com), Missouri’s oldest and most-awarded winery, located at 1110 Stone Hill Highway. Our first stop at the Stone Hill complex was its spacious visitor center/gift shop, where we signed up for a guided tour of the winery. Tours take place daily and leave the visitor center every half hour. The fee is quite reasonable: $2.50 each for adults, $1 for children 6-12 and free for children under 6. A small portion of the tour is outdoors and if, like me, you neglected to bring an umbrella on a rainy day, the staff will happily loan you one. The tour does involve some hills, but paved ramps or steps make them easy to navigate. Our tour guide, a young man named Alex, took us past some hillside vineyards and then through the largest series of vaulted cellars in America. Throughout the half-hour excursion, he stopped now and then to explain both the rich history of the place and the winemaking process. 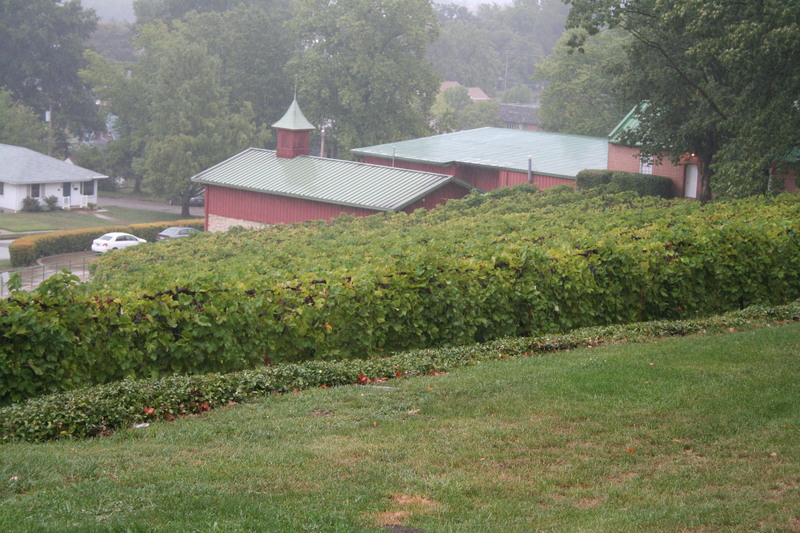 Established in 1847, Stone Hill grew to become the second-largest winery in the United States and, by the turn of the century, was shipping 1,250,000 gallons of wine per year. During Prohibition, the cellars were used to grow mushrooms. The tour ended up in the tasting room, where Alex served up free samples of any of the Stone Hill wines we wished to try. I could have stayed all day. We then stepped back into the visitor center/gift shop and made some wine, cheese and sausage purchases. Prices for the bottles of wine varied, but many went for only $7.99. 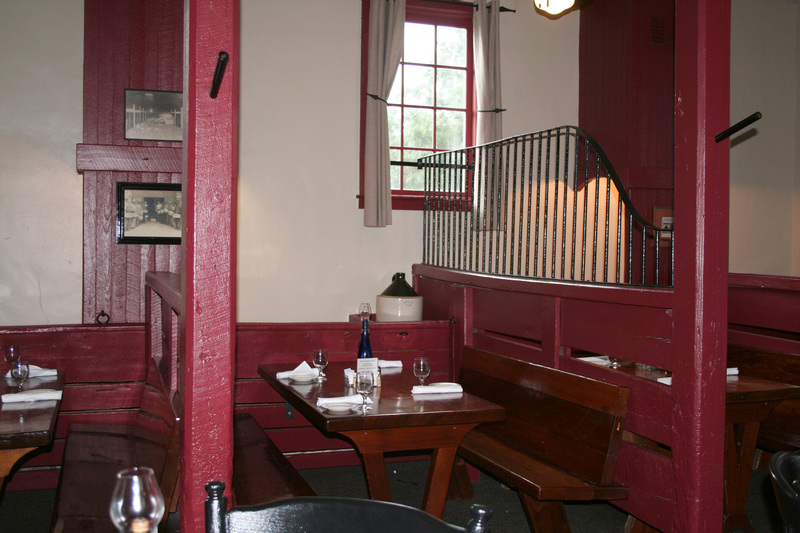 Our visit was made complete with lunch at Stone Hill’s Vintage 1847 Restaurant, located in a restored carriage house and horse barn. If you want, you can sit in a booth in a former stall. The place serves Stone Hill wine, of course, and has a varied menu with dinners ranging from about $12-$15. But it specializes in German food. My wife ordered quiche served with several types of fruit. 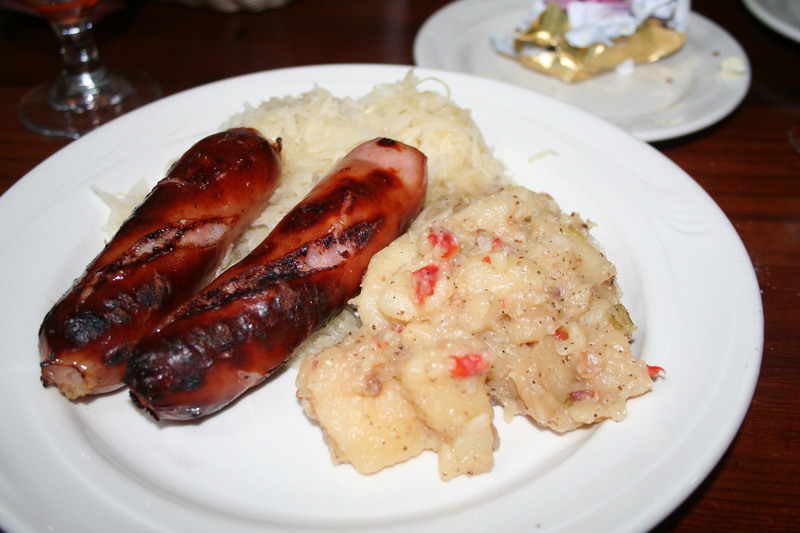 I ordered two sausages on a bed of sauerkraut and German potato salad. The meals came with rolls. Somehow we resisted the temptation to order dessert. The offerings included German chocolate cake, German chocolate pie and apple strudel. Maybe next time. Copyright 2012 by Phil Roberts, Creative Enterprises. Submitted as a column to North Scott Press. Photos by Phil or Sherry Roberts.